Our personal needs are just as unique as we are as human beings. While some may prefer the suite, others appreciate the intimacy of a holiday home. We offer rooms, apartments, suites, and holiday homes for every taste, according to your individual needs. Our purpose is to make you feel right at home around the clock during your ski holidays here in Lech. The winter wonderland of Lech and the marvelous slopes on your doorstep in Lech am Arlberg may give you joy and recreation already, but it is even better to have enough space available in elegant living and sleeping rooms, where you can feel right at home. Just put on your skis and off we go! Starting right at your doorstep! You can reach the center of Lech am Arlberg in 10 minutes by foot or by bus practically right from the doorstep. Our comfortable wellness area offers a sauna, a steam bath, an infrared cabin, a recreation area as well as a tea bar. The Lech-Zürs ski resort offers 305 kilometers of slopes and 87 lifts and cable cars. We are located 1,450 m above sea level – Breathe in the fresh air and recharge your batteries for everyday life. Enjoy your vacation in the heart of the mountains. 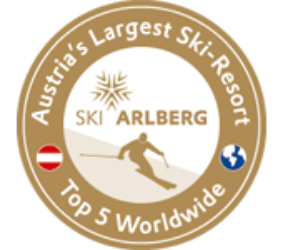 Simply more in your holidays at Lech am Arlberg!